Fermented Tea is the correct answer! SO what’s the craze all about? Kombucha tea is an ancient Chinese drink that’s known as the “Immortal health elixir.” Well that makes you want to drink it right? The sweetened tea is created by a symbiotic colony of bacteria and yeast. 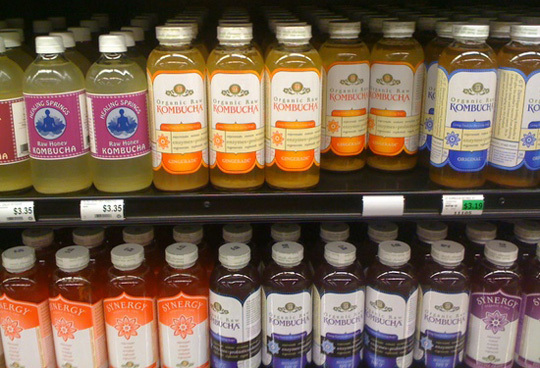 In the beginning of the 20th century researchers in Germany and in Russian studied Kombucha extensively . This was do to the fact that they found that the colonies of people that drank this type of fragmented tea didn’t get cancer! Alas, the research was halted with the cold war and wasn’t really started back up again until the 90’s in the U.S. The research from the early 20th century has now been made public but research has been set aside because no one seems to see the benefit or rather the money in Kombucha testing. Regardless of the unfinished research, Kombucha has over 2,000 years of belief and tradition behind it. Kombucha Benefits#1 – Detoxification – Helps detox the liver and the rest of the system with the aide of healthy bacteria and enzymes. These extra bacteria and enzymes take the load off the pancreas and allow the liver a break from over production. Kombucha is also very high in Glucaric acid which has been shown to prevent cancer. Kombucha Benefits#2 – Joint Care – Kombucha contains glucosamine which aids the joints in movement. The Hydrolic acid thats present in glucosamine aids the joints in moisture, lubrication, flexibility, lessens free radicals, and lessens wrinkles. Kombucha Benefits #3 – Improves Digestion and Intestinal Health – Due to the fact that Kombucha is a living beverage and contains yeast and healthy bacteria, it contains natural probiotics. These healthy bacteria fight things such as candida (harmful yeast), mental clarity, and mood stability. By eliminating bad bacterias and yeast it will aid help depression, anxiety, and fibromyalgia. Kombucha Benefits #4 – Immune Boosting – This drink is PACKED full of antioxidants. These aids in prevention of disease and in energy levels. Need I say more?? Are the Benefits of Kombucha for real or just hype??? After reading several different articles it seems that they are~! However there are different time frames to gauge your personal results on. 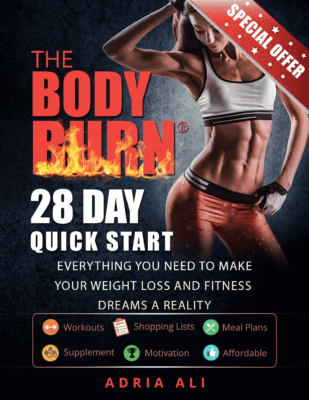 Within one week you should see increased energy and improved immune function. For large ailments, you should see improvement in a month. For chronic disease you should see improvement over the course of a year. * Fit Tip Daily was not paid or compensated for this article in any way. This is an informational site base on our personal findings. Use this information at your own discretion. Healthy Gut, A Healthy Life ! Generally I do not learn post on blogs, but I wish to say that this write-up very compelled me to check out and do so! Your writing taste has been surprised me. Thanks, quite nice article.